Home ⎢How to get a last minute visa? There is a lot of time and effort that goes into planning a vacation, especially if you go to someplace foreign. That is why you may forget about little details, like to bring a very effective bug repeller, or to pack more socks than usual. However, one of the most significant things you can forget about is getting a visa. While getting a visa is not an insignificant detail and forgetting about it can cancel your whole trip, there are ways to get one last minute. Yes, most people do their homework before traveling to a foreign country, but mistakes happen. While getting a visa is not an insignificant detail and forgetting about it can cancel your whole trip, there are ways to get one last minute. Many states allow the release of electronic visas, which is why there is still a chance for you yet. Obtaining a visa the old-fashioned way requires a lot of time, and maybe even a trip to another city. An electronic visa, on the other hand, is easier to get. You can apply from home, anytime you want, and chances are you will have it just in time for your trip. The first thing you need to do is check whether you are eligible for an e-visa or not. You can do that using multiple methods, but one of the easiest ways is to research your destination’s visa policy. Look for electronic visas, and see if your country of origin has made the list. If you are lucky, you can apply. Unfortunately, if you are not eligible, you may end up canceling your trip. Another efficient method is to use third-party companies. Their primary activity is to expedite the process of obtaining a visa, and they usually have some kind of tool that will allow you to check your eligibility. For example, let’s say you wish to go to India. You select your nationality, you enter India as a destination, and all the information you need to know will unfold in front of you. What is even better is that if you are eligible for an Indian e-visa (following the example), the company in question will provide a way for you to apply using their platform. So, when the information comes up in the eligibility checker, you will be redirected to a page where you can actually apply. It is a highly convenient service that can save you a lot of time and effort. Not to mention that such companies have low fees. So how fast can you get your visa? That depends on your nationality and destination. 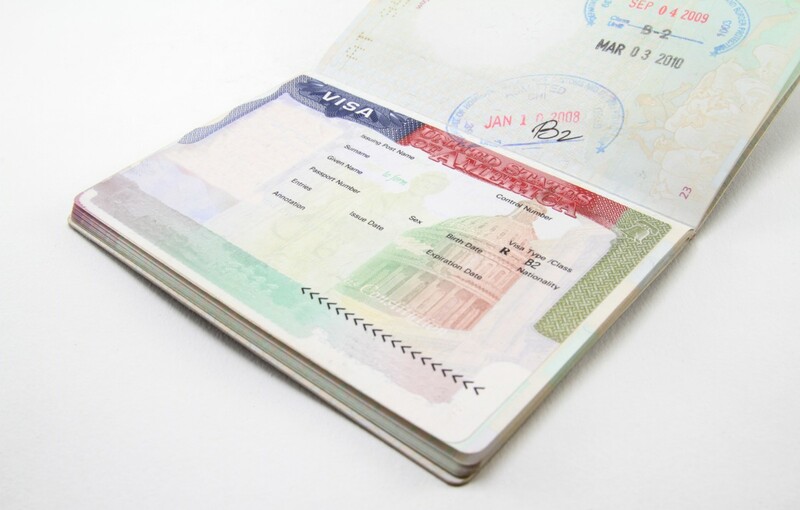 However, there are cases in which you can get your visa in as little as a few hours, which comes in handy and makes it possible for you to get the document while you are on your way to the airport. Let’s say that you are a US citizen who wants to go to India. You can get an Indian e-visa. Moreover, you can get it in as little as 18 hours, and all you need is a passport and a few other documents. To make things even easier, you can solve the passport issue online as well. You can get cheap passport photos on the internet. It costs just a few dollars, and your photos will arrive in the mail. As long as ‘last minute’ means only a few days, there may be a chance for you to get a visa just in time for your trip. In some cases, that is possible within a few hours. However, to avoid all of that, make sure that getting a visa is on top of your list of things to take care of. Nonetheless, it is good to know that a mistake like forgetting about it can still be fixed.